A new book due out in October this year purports to explain “What To Think About Machines That Think.” The topic is an increasingly familiar one to anyone whose industry is changing rapidly thanks to mechanization. As machine learning increasingly results in higher computerized intelligence, it’s worth asking how robots and other devices will affect industries such as labeling in the future. Survey the web and you’re sure to find a few examples of advanced machinery hard at work in labeling. For instance, a new two-robot system out of England uses complex 3D data to carefully apply labels to widely diverse and bruise-prone fruits such as pomegranates and melons, Vision Systems Design reports. Meanwhile, Germany-based Adidas is looking at returning some of its manufacturing (and, thus, labeling) in-house thanks to advances in robotics that could speed up production and delivery times. 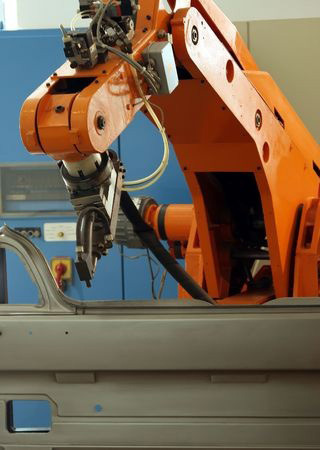 Rapid production is certainly an advantage of robotics, though it’s likely other benefits could include safety improvements in the workplace and greater attention to reduced environmental footprints of energy-intensive processes in manufacturing. Keep an eye on the headlines as the labeling industry, like all others, adapts with the rapidly changing world of robotics.